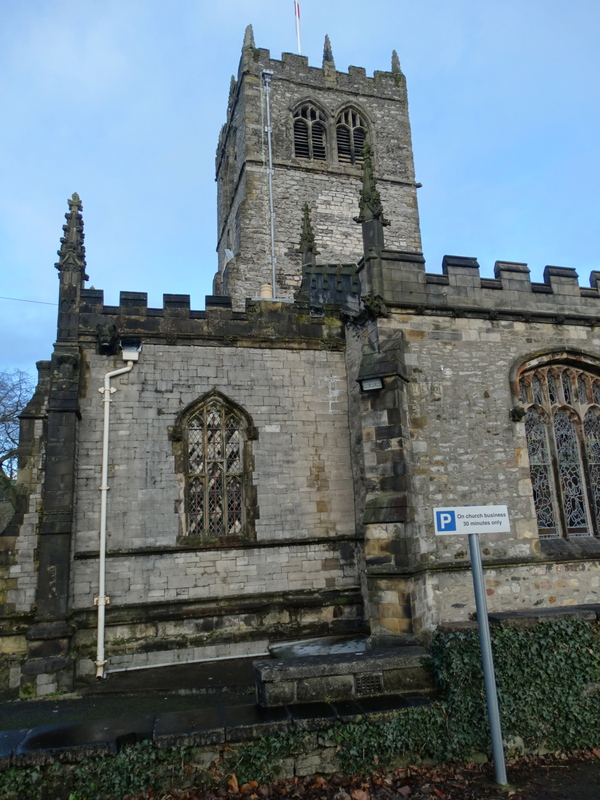 Kendal Parish Church – the church of the Holy and Undivided Trinity. I had a job interview here in 2008 and didn’t become Vicar – I bear them no ill-will. 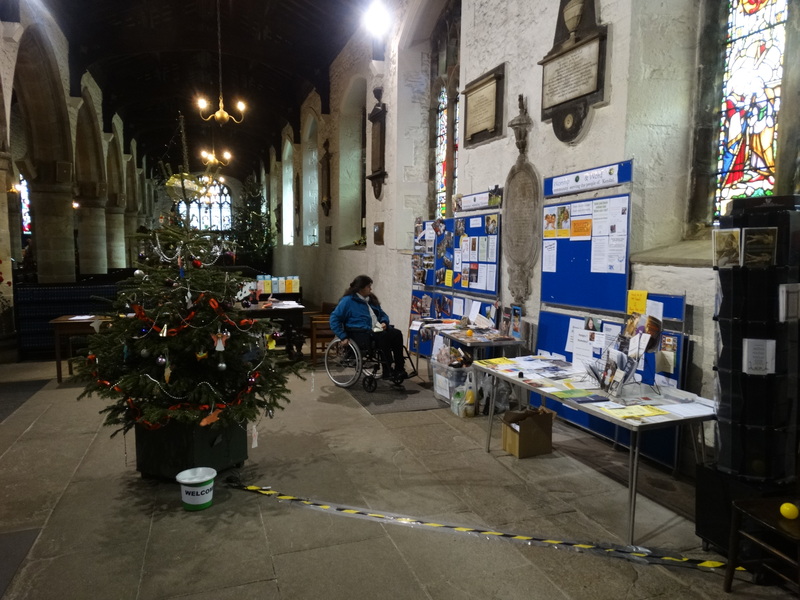 It was nice to have a wander round the church today knowing I wasn’t about to be interviewed! 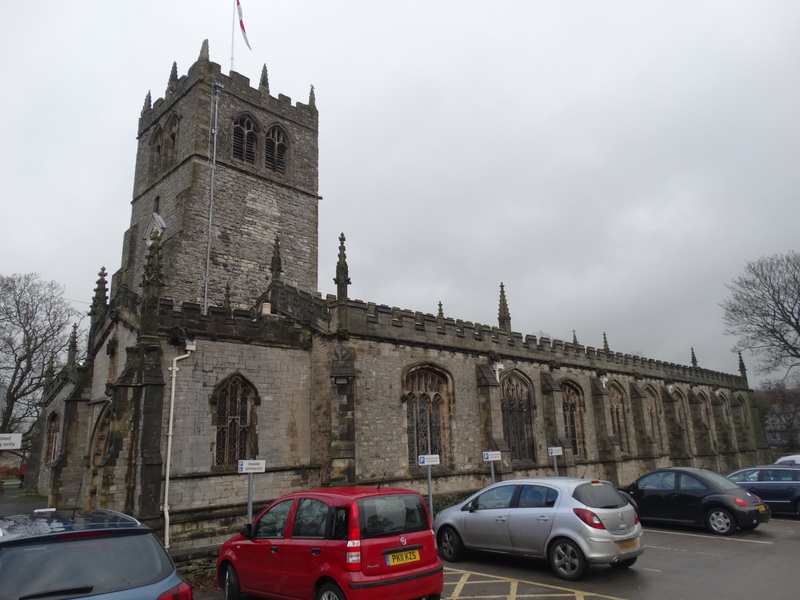 The church is situated in the south of the town at SD517922 with a car park – I had a smile that when parking on church business you can only stay for ½ hour (how many walk out during the sermon because they have been parked too long?). Very good website – obviously a lot going on. 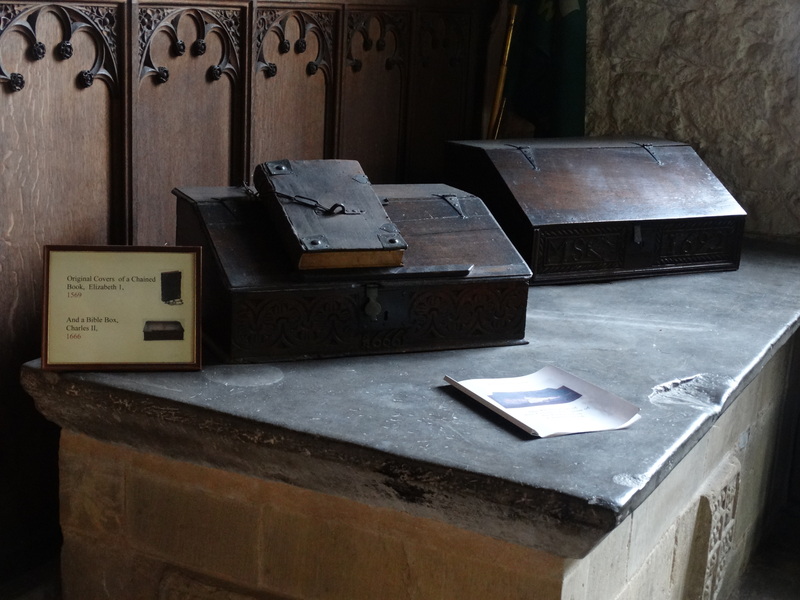 No decent guidebook – surely there is money around in the National Park to help produce one – though there was a huge amount of literature just inside the door (rather overwhelming). 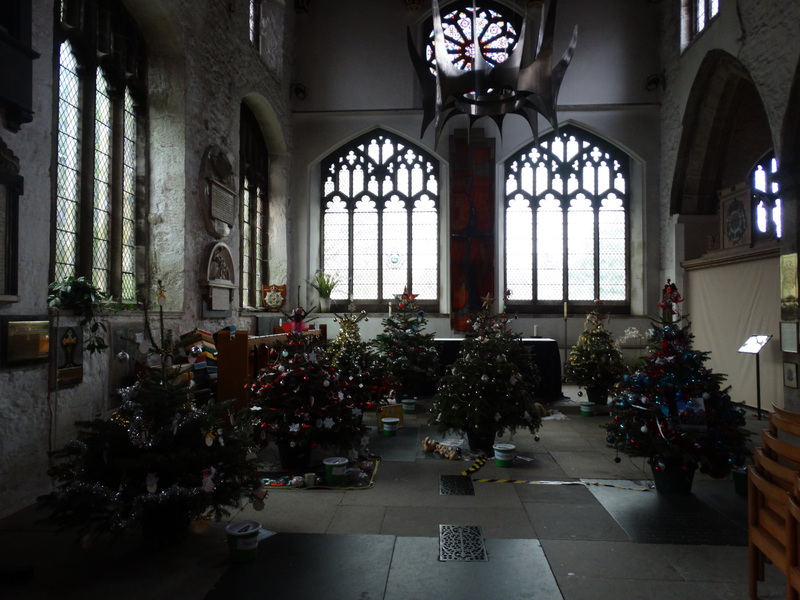 They had had a Christmas Tree festival before Christmas, and had obviously managed to get a lot of the community involved – well done. 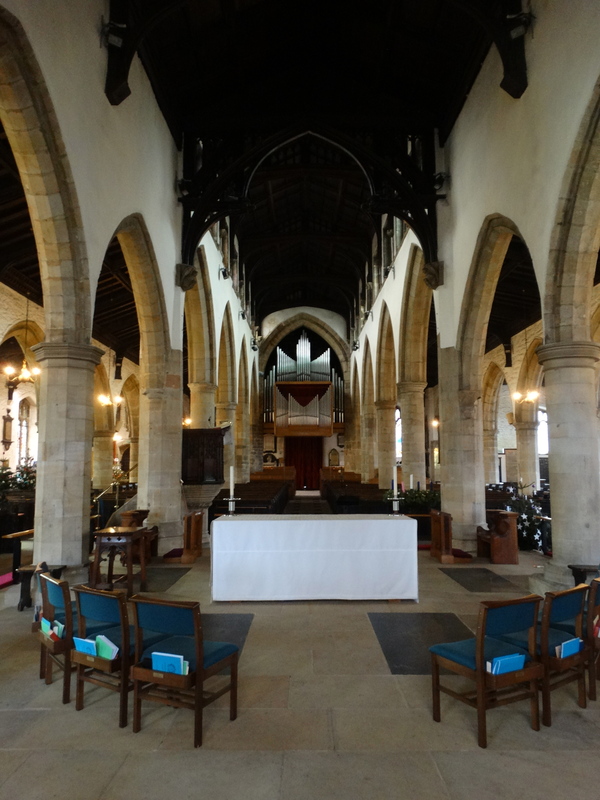 The church is huge – it is basically a rectangle. 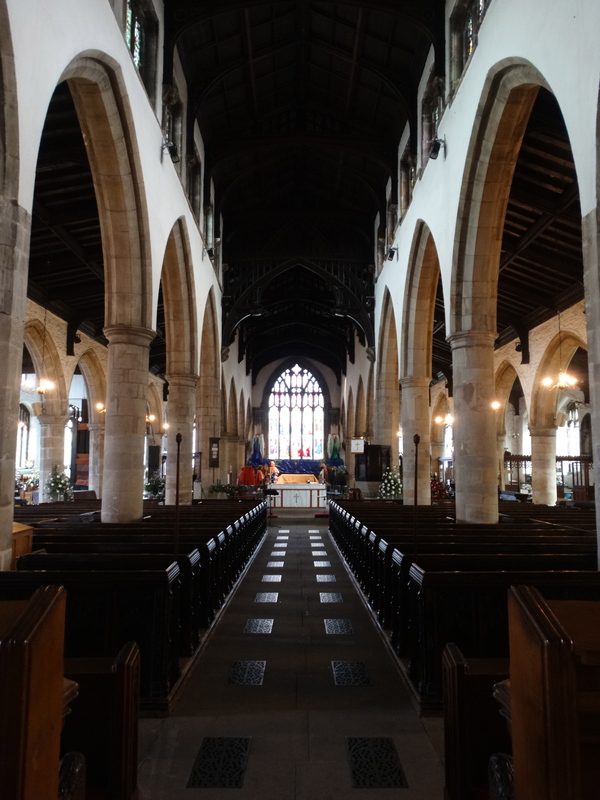 The nave, which dates to 1201, is 140 feet long and 103 feet wide (not much narrower than York Minster). Pevsner describes it as “Wide and spreading, like a hen covering her chicks, nicely symbolising the mother church, its thriving town and vast parish.” Originally a dependency of St Mary’s abbey in York, it was bestowed on Trinity College Cambridge in 1553. Their Master, Dr Whewell initiated a restoration – in 1848 it was described as “about as melancholy a picture of neglect, ruin and irreverence as the imagination could conceive”. 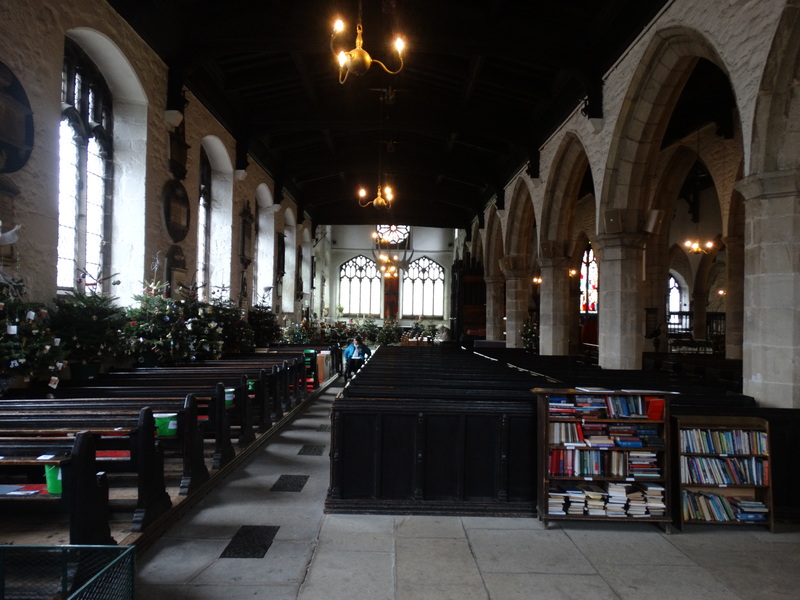 Nave and chancel restored in 1850-2, inner aisles in 1863, outer aisles in 1868. J.S. 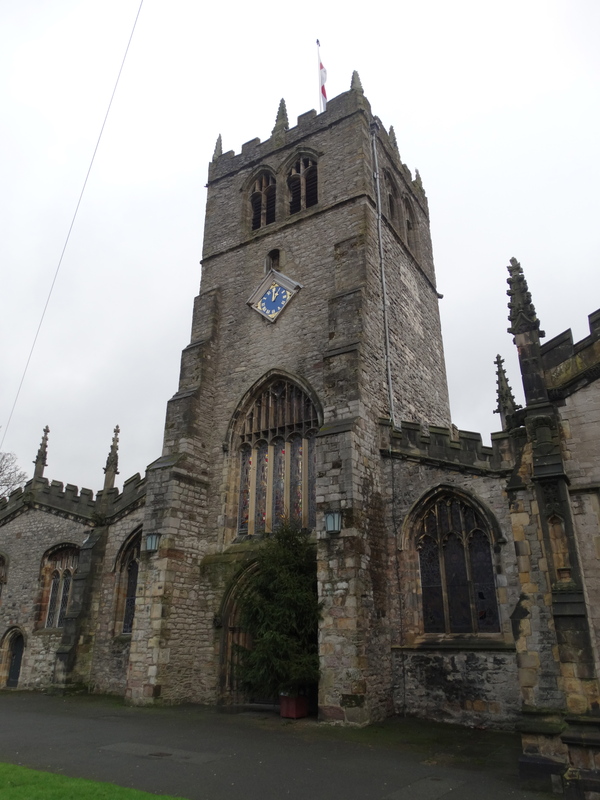 Crowther was the architect, and quite a lot of the church shows his influence. 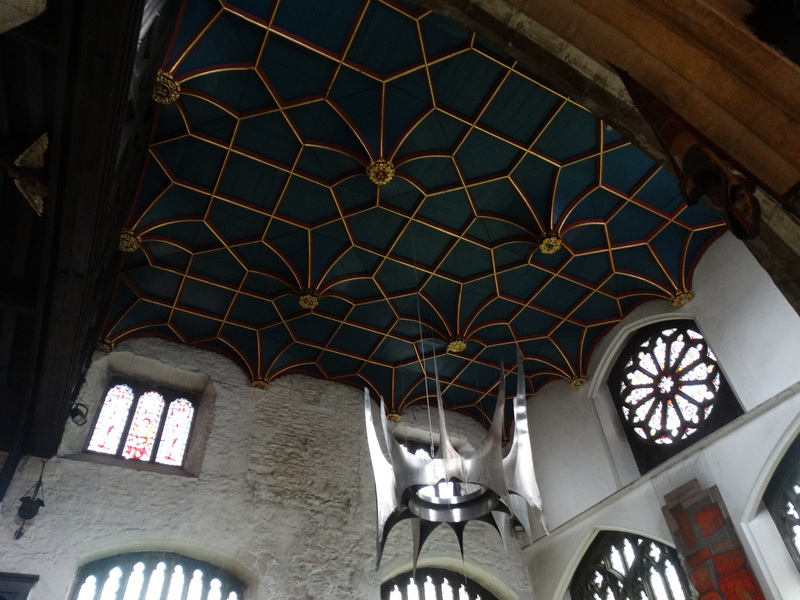 Pevsner says that he left the interior “cold and over-tidy. 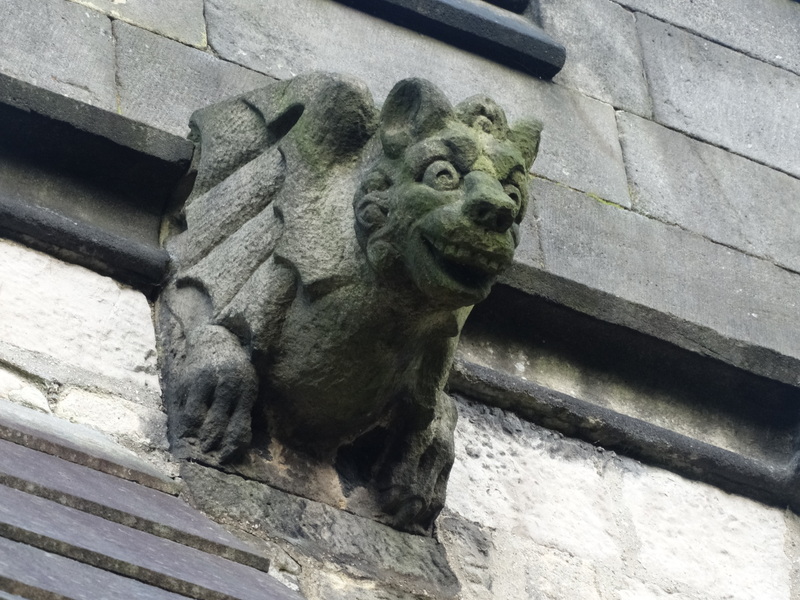 Until the C19 it was a maze of pews, stoves and galleries, with painted texts, cherubim and seraphim, and ‘green hissing serpents and flying dragons’.” I shall start a campaign to reintroduce the serpents! Apparently Dr Whewell is also the man who coined the words “scientist” and “physicist”. 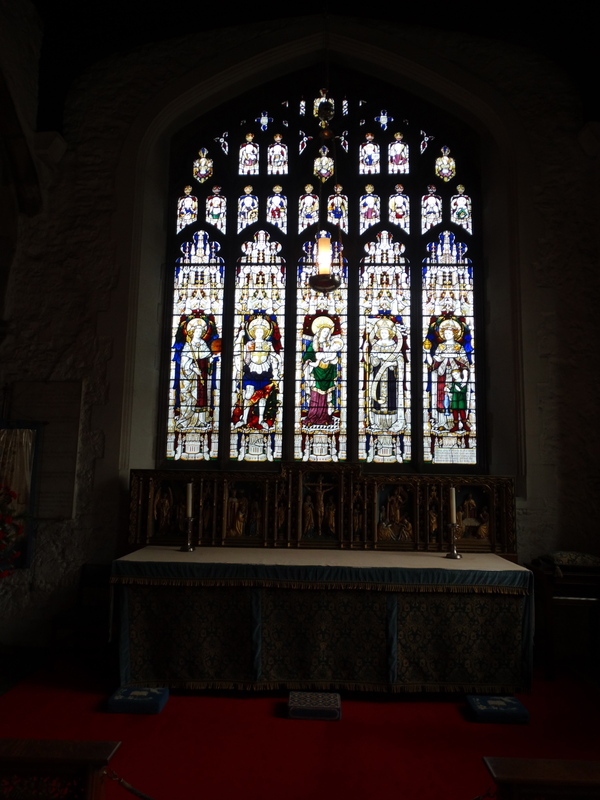 Making my way down the south aisle, which was built in the fifteenth century to accommodate the Flemish weavers who came to start the town’s woollen industry, there is some nice stained glass. The second one down is an interesting portrayal of death and resurrection. 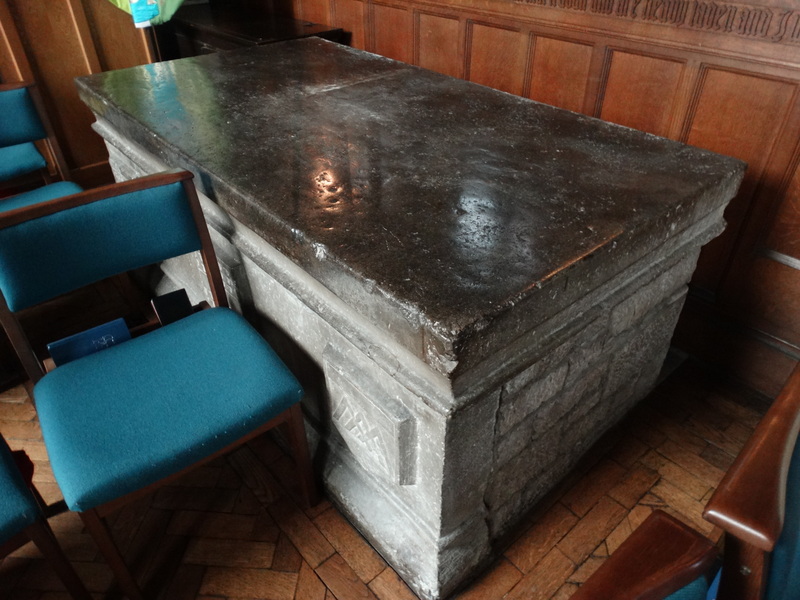 It was made by Shrigley and Hunt in 1924 to a design by Alice Gordon. I have just found that Lancaster University produced a book about Shrigley and Hunt’s stained glass that was on sale for £27. It is now reduced to £5 – sounds too good to miss. This will give you more information – I like the line “At the height of its fame in the late Victorian era, the company of Shrigley and Hunt ranked among the leading designers and manufacturers of stained glass in Britain … at the beginning of the twenty-first century, however, the name of Shrigley and Hunt means little to the average person and not much more to the historian of stained glass.” On the Clapham omnibus we talk of little else! There is an exhibition about Shrigley and Hunt at Lancaster Museum – sounds like another excuse for a day out. 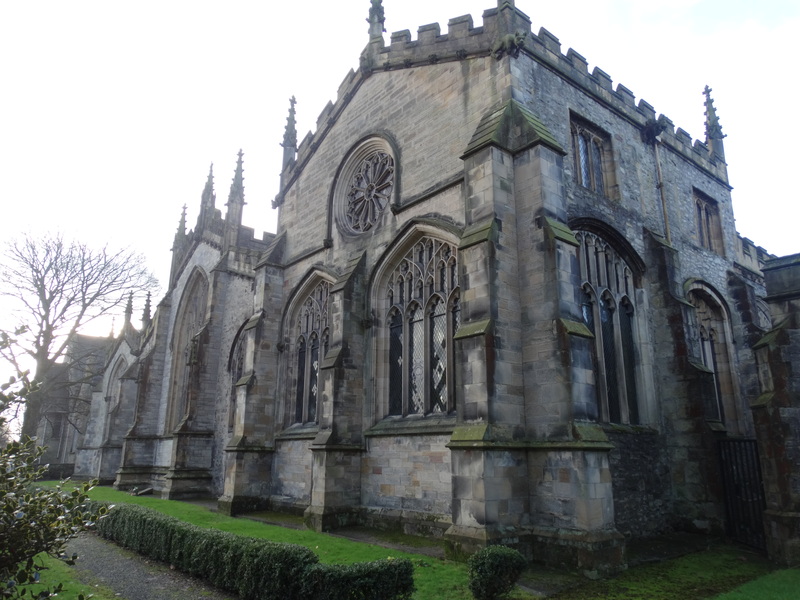 At the east end is the Parr Chapel, which dates from the 14th century. 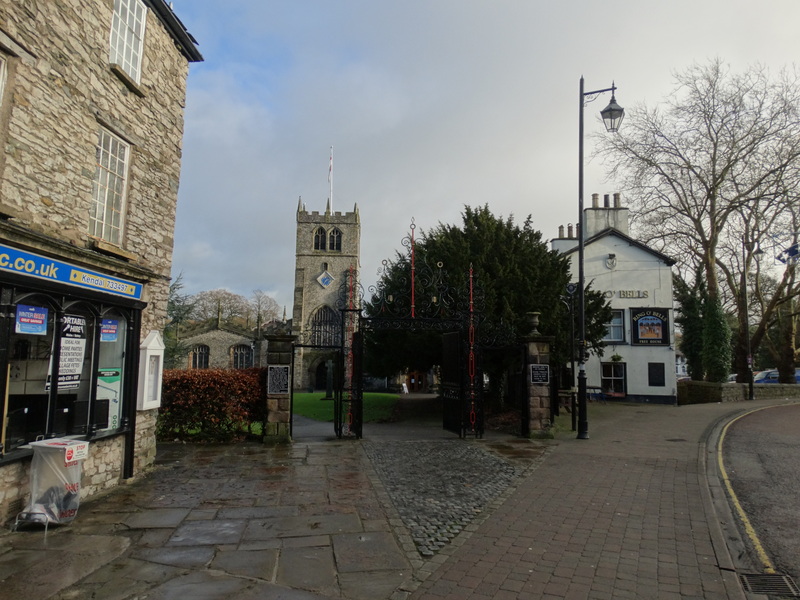 The Parr family lived in Kendal Castle, and the grave is through to be that of Sir William Parr, who was the grandfather of Lady Katherine Parr, the last wife of Henry VIII. She was a fascinating woman – I enjoyed reading Elizabeth Fremantle’s novel about her, Queen’s Gambit, published by Michael Joseph, 2013. 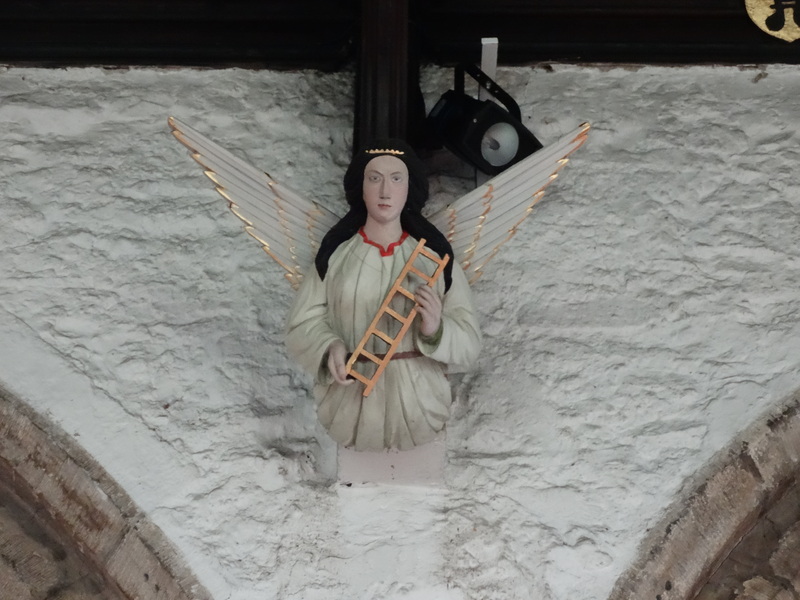 The angels in the roof are lovely – they carry the symbols of the crucifixion, cross, crown of thorns, ladder, hammer and nails. 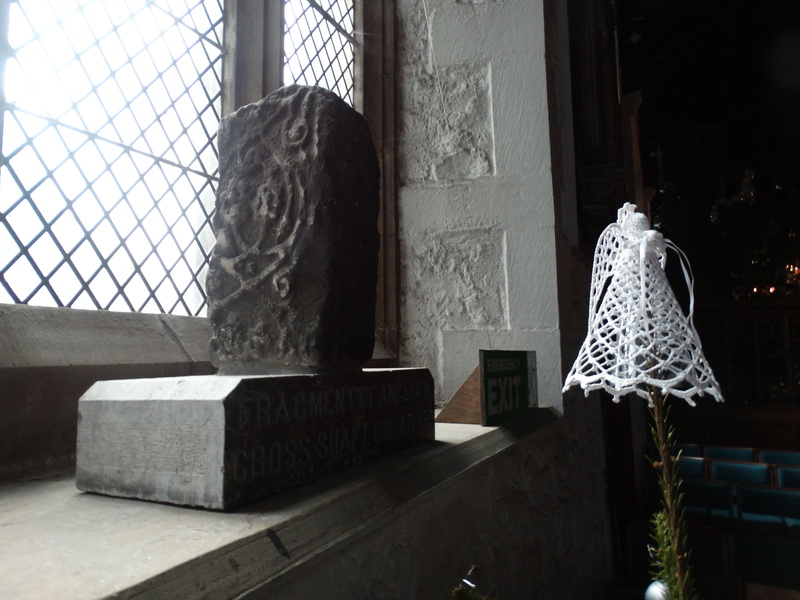 There is a ninth century cross on the windowsill. 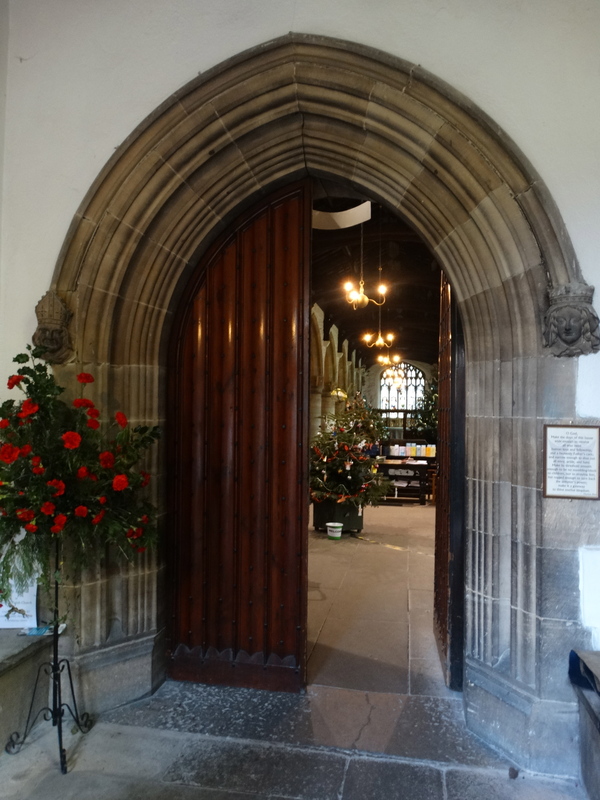 The next chapel is the Strickland Chapel, dedicated to St Catherine, dating to the C13. 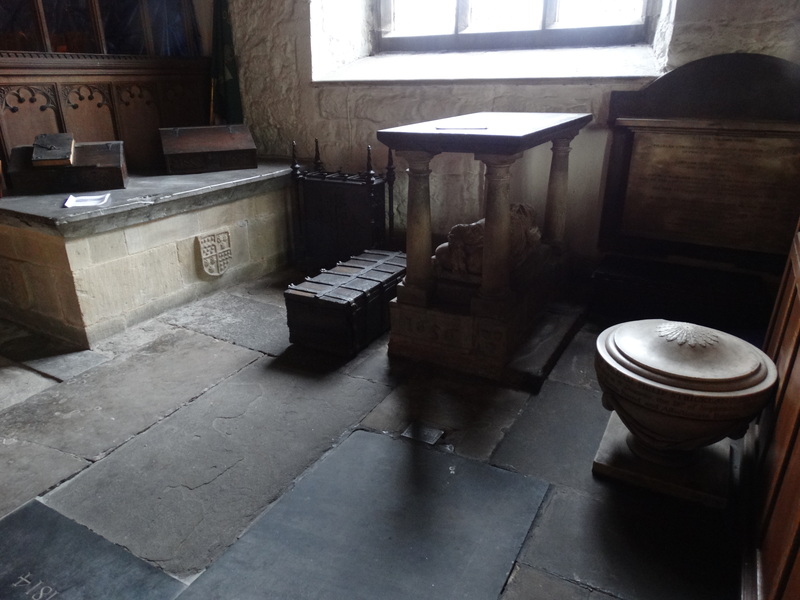 There were some nice tombs and furniture here, but it was locked. The Strickland family lived at Sizergh Castle – a NT property I need to visit. 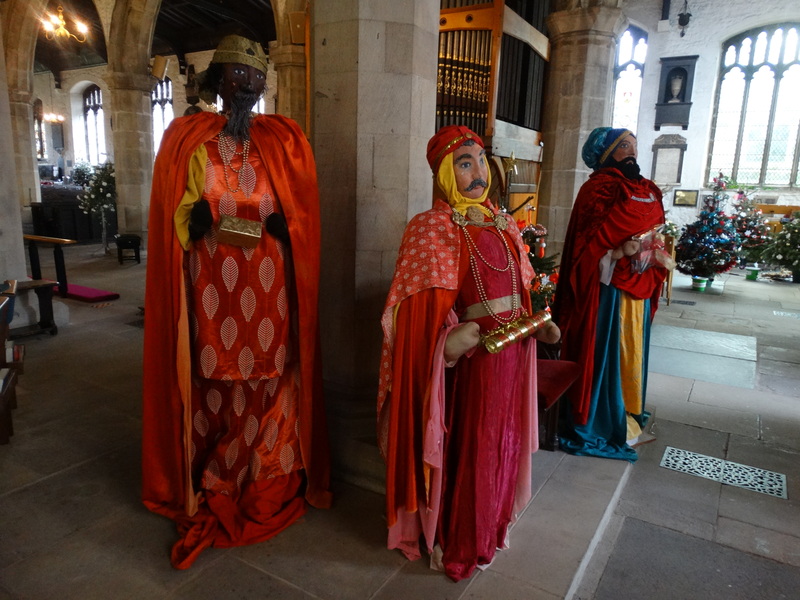 In the area immediately to the east of the altar, they had a very large Nativity (and the Three Kings). 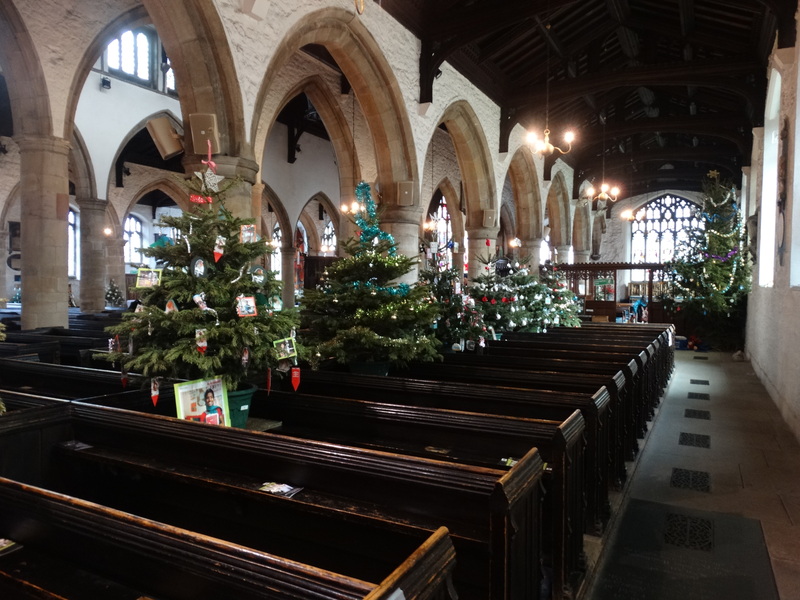 It must be lovely to have such a big church where you can put lots of trees, a huge nativity, and still have space to celebrate Christmas! A good view from the altar to the organ – a Walker’s instrument. The Bellingham Chapel is in the north east corner of the church, and was full of trees. 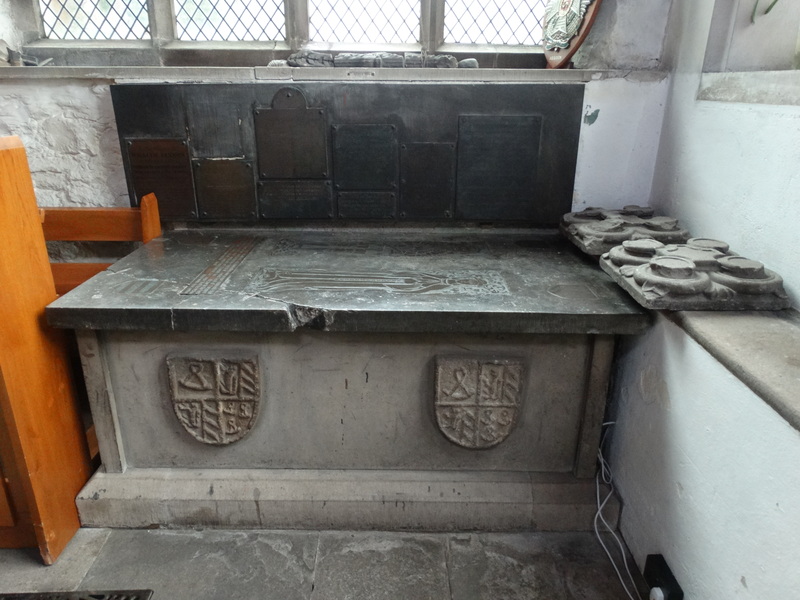 Sir Roger Bellingham built this chapel in the C16, and the tomb of Sir Roger and Lady Margaret can be seen. 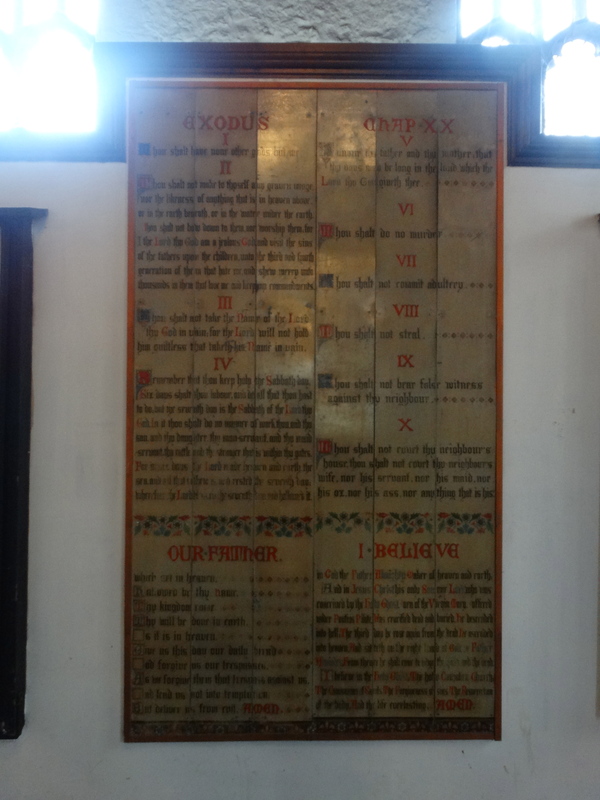 The brasses replace the originals stolen in the C17 (church theft is nothing new). The Corona was made in 1968 by the Keswick School of Industrial Arts to the memory of Bernard Gilpin, “Apostle of the North” says the guidesheet. 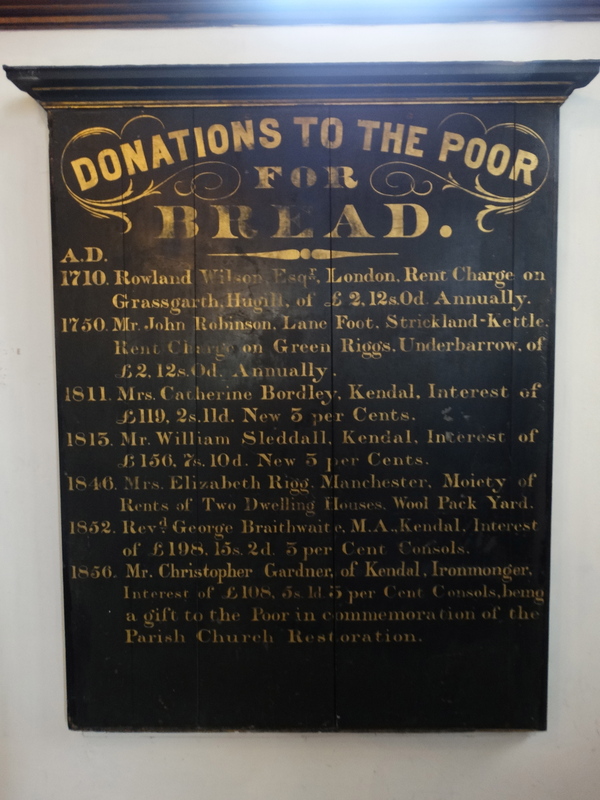 Time for more research – Bernard Gilpin attended Kendal Grammar School and Queen’s Oxford. He championed traditional Catholic teaching even after Henry VIII’s break with Rome, then Edward VI gave him the living at Norton-on-Tees. 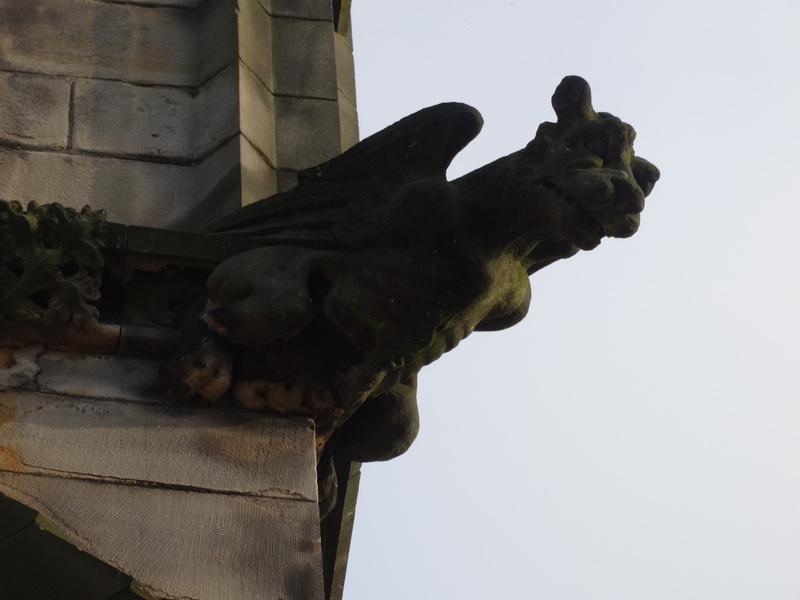 In 1556 he became Archdeacon of Durham – “as Archdeacon he was noted for his attacks on the vices, and especially the clerical vices”. 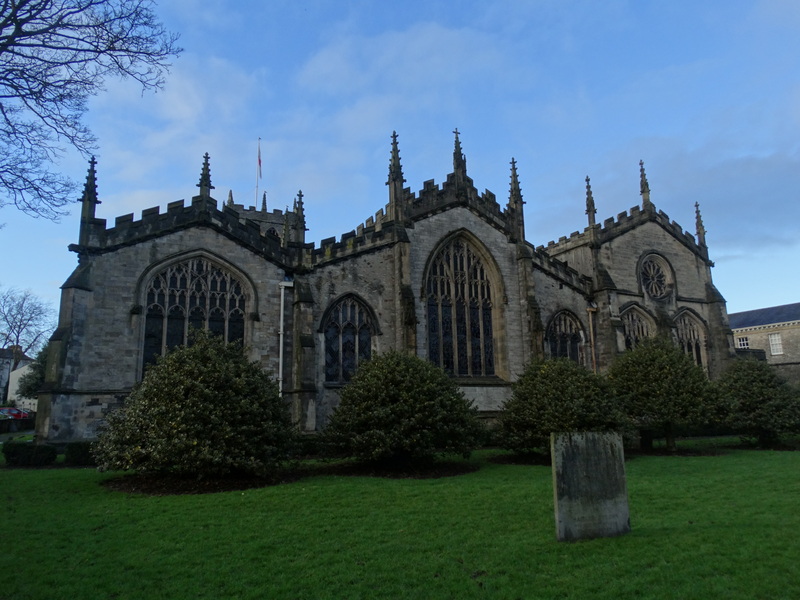 He then became Rector of Houghton-le-Spring in 1558 – a large, wealthy, parish. 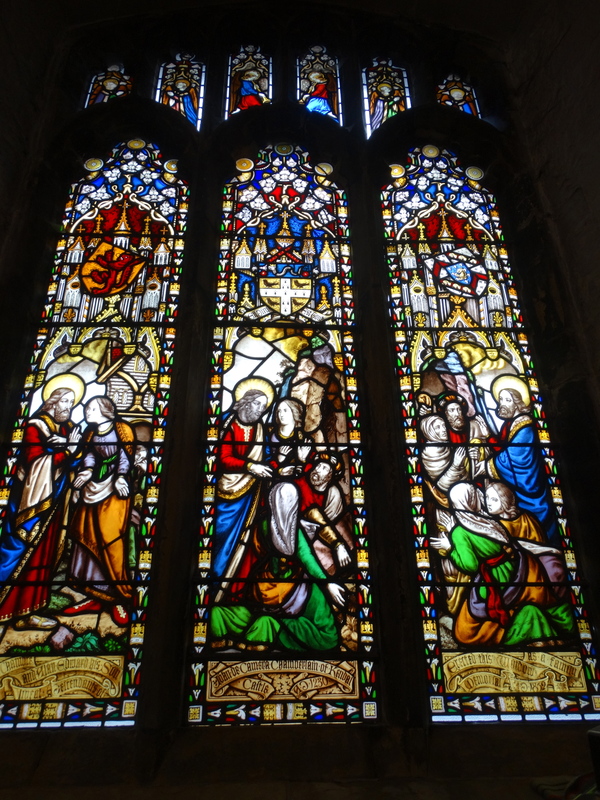 Towards the end of Mary’s reign he was arrested as a suspected Protestant heretic, but fell from his horse and broke his leg on his way to interrogation. 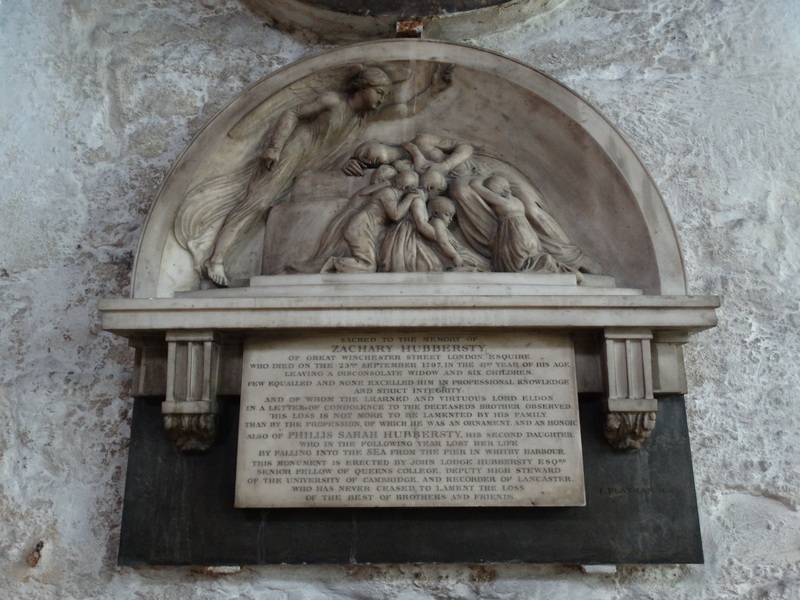 He was unable to reach London before Mary died and was thus never brought to trial, possibly saving his life. 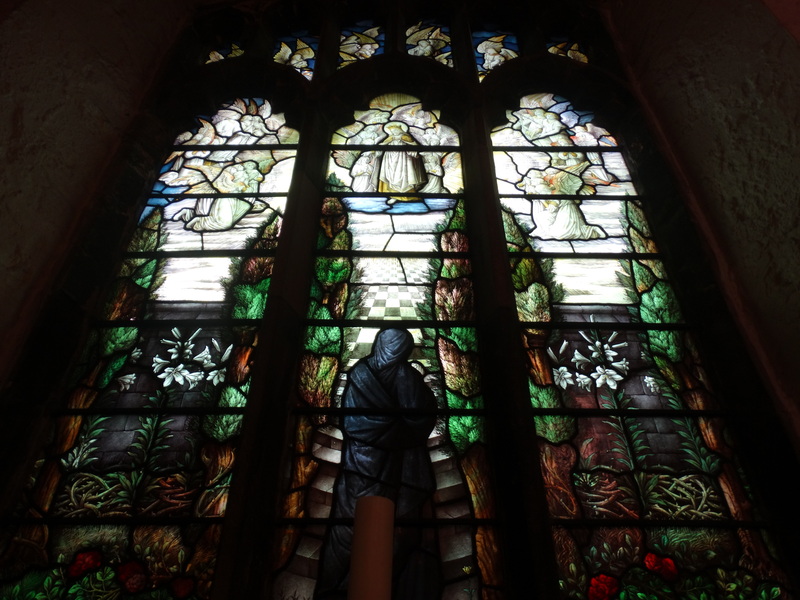 He travelled a lot across the North East, trying to restore church life in the region where civil society had been devastated by civil wars, wars with Scotland, feuding and robbery. 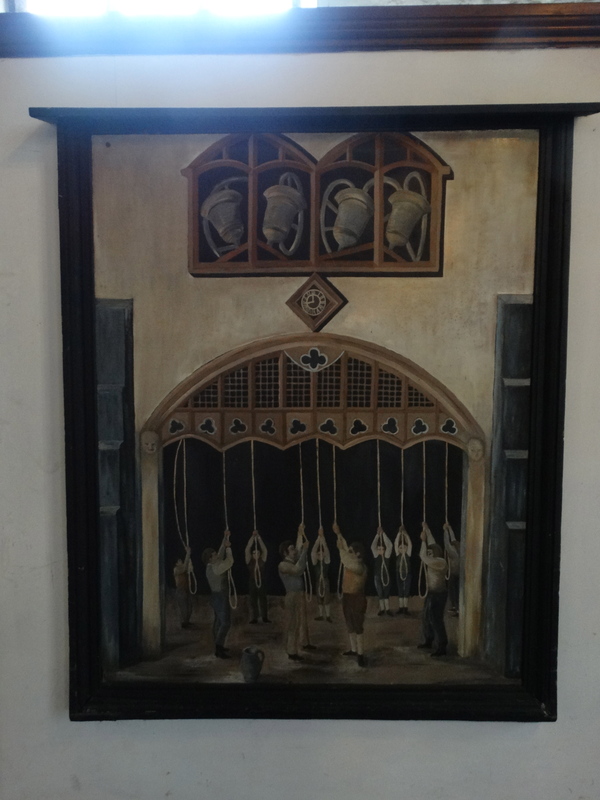 I have just realized where I have come across him – he is in one of the Bell Scott paintings at Wallington, taking down the glove in Rothbury Church. The picture is at this website. 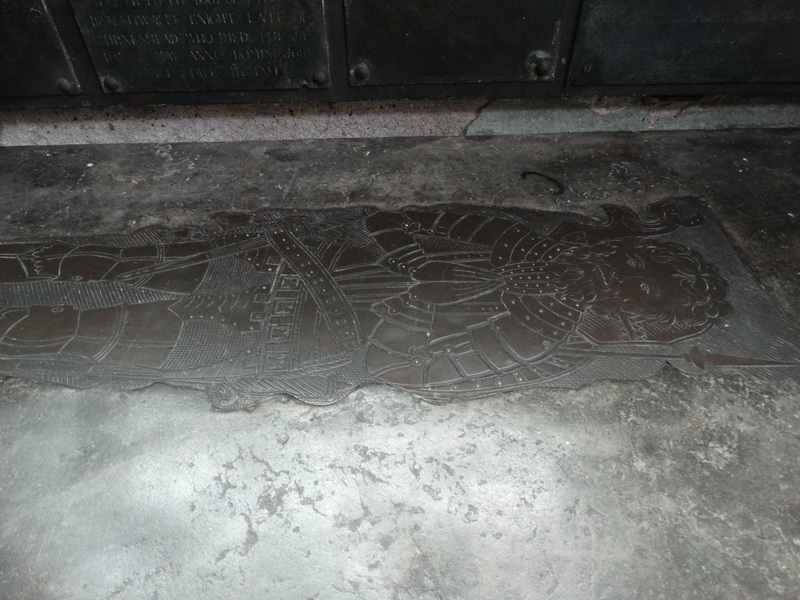 Gilpin died in 1583. 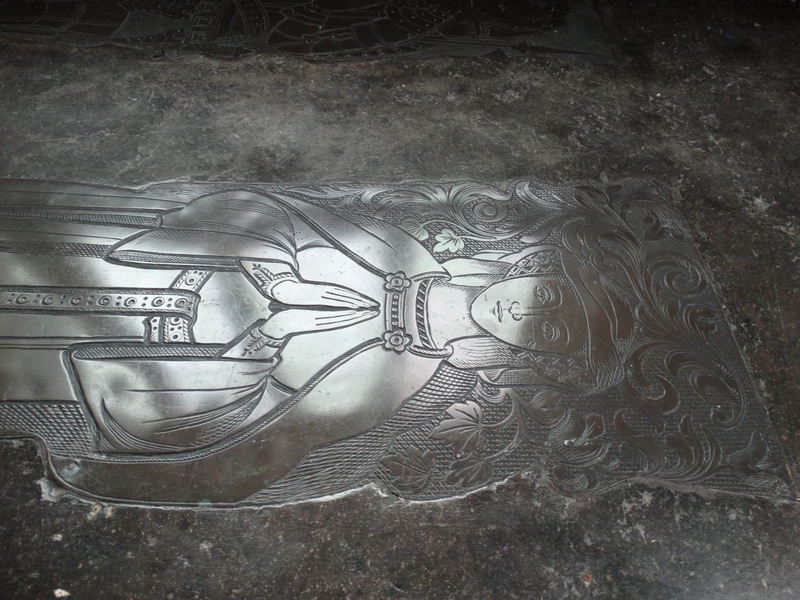 Also in the Bellingham Chapel is this wonderful headstone. 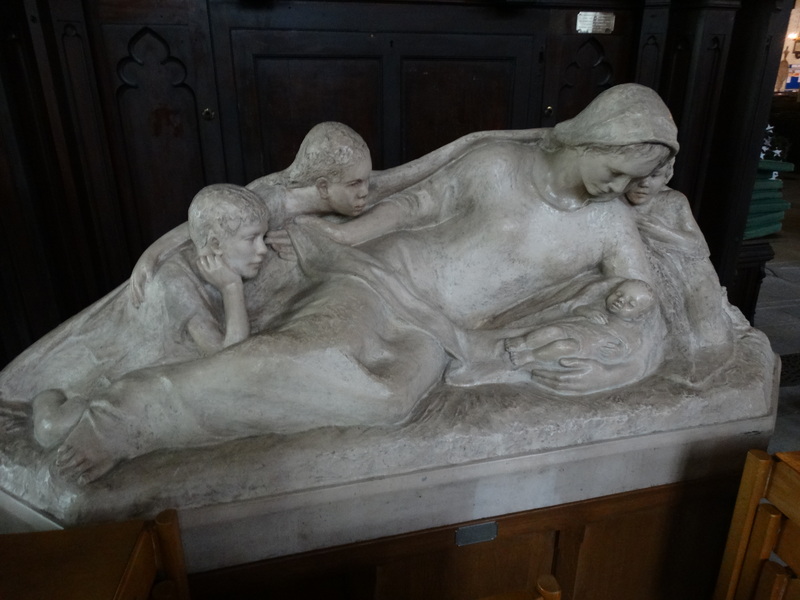 In the north aisle is this lovely sculpture “The Family of Man” by Josefina de Vasconcellos. The setting is a contemporary refugee camp in the Middle East. 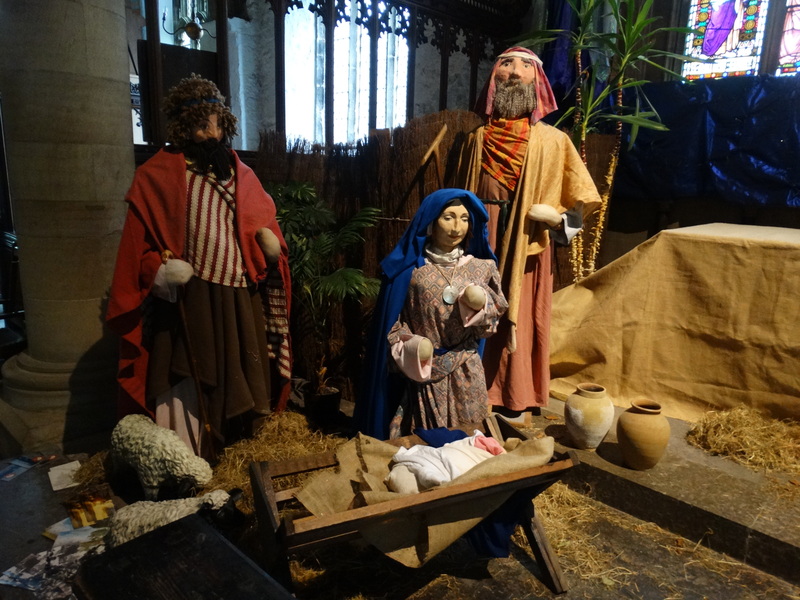 Huddled together under an old blanket are Mary, Jesus and three children, representing the African, European and Oriental peoples of the world. 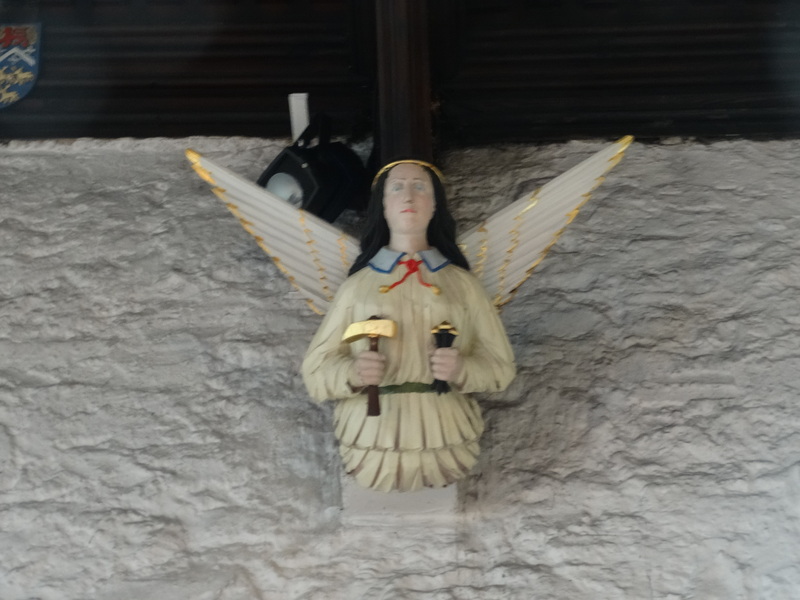 Josefina (1904-2005) was the daughter of a Brazilian diplomat and an English Quaker, who married an Anglican priest, and lived in the Lakes for much of her life. 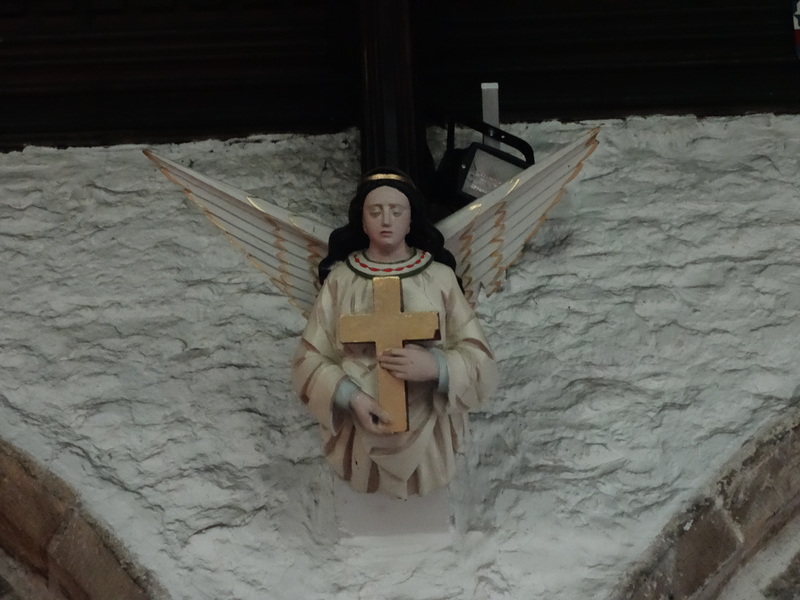 Some of her work is in St Paul’s and I know her statue “Reconciliation” from Coventry Cathedral. 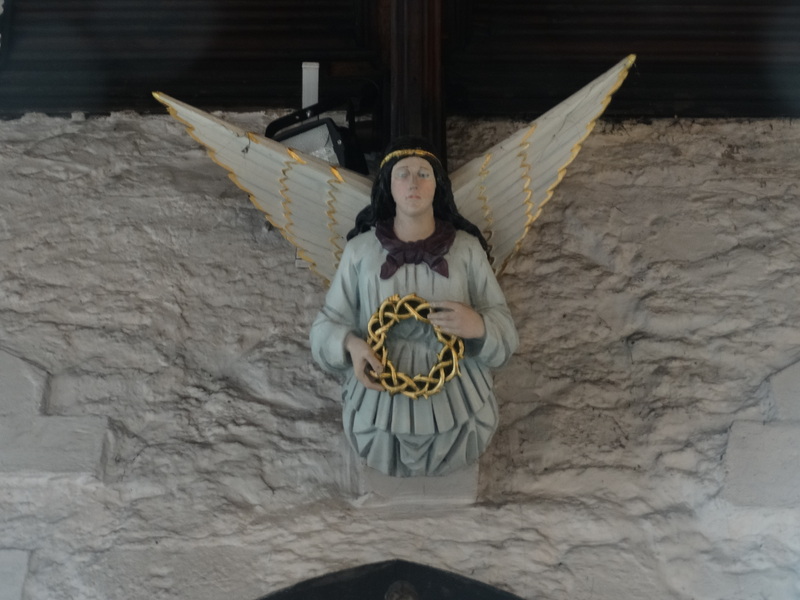 On the screen at the west end is the old sign from the “Ring o bells” pub, which stands on consecrated ground by the church car park, the Ten Commandments on tinplate, and some of the charitable giving to church charities. 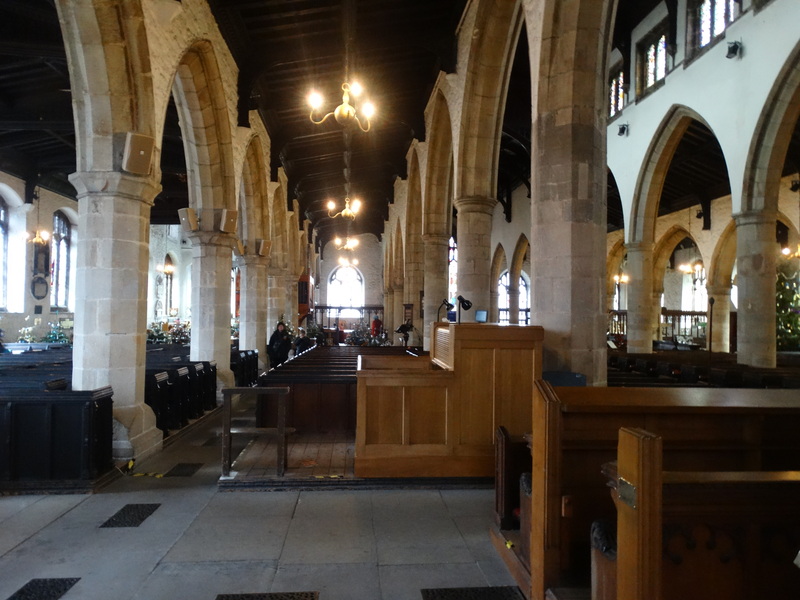 I then walked along the west end, looking east down each of the aisles and the nave. It is a stunning church. 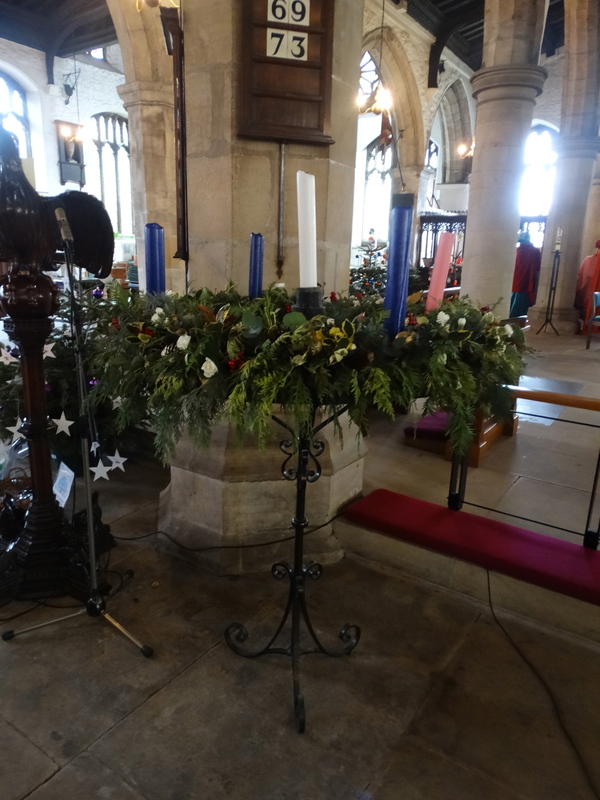 I then went to photo this Advent ring and a half! 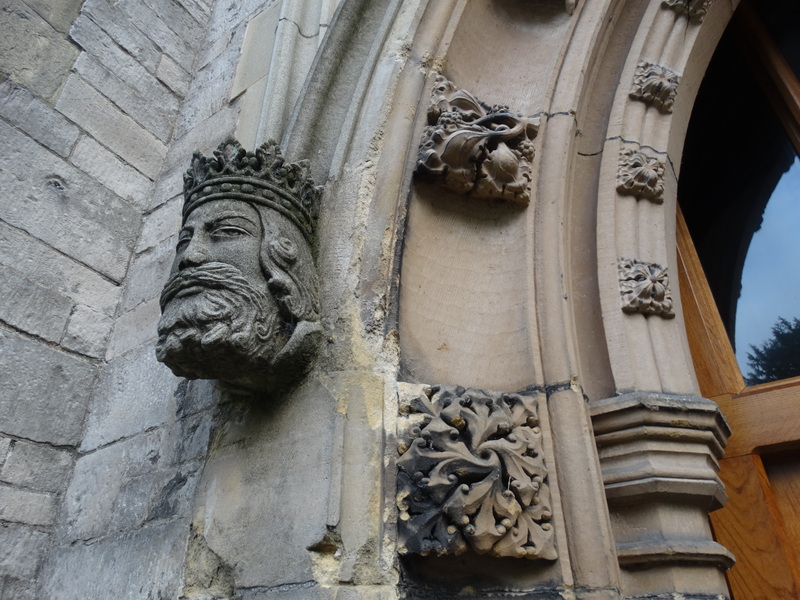 We had lunch, then I went to photo the outside the church – some lovely carving. Must go and explore the rest of the town and the other churches. 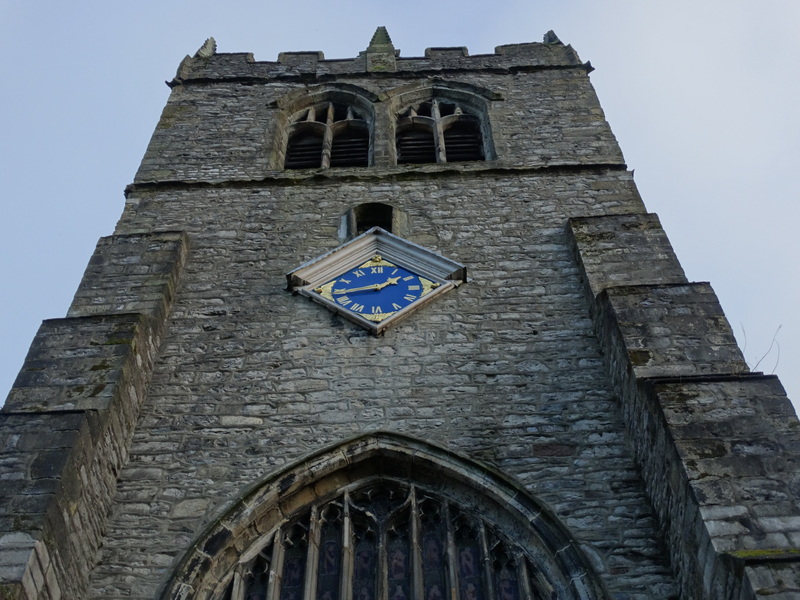 Pevsner gives Kendal 18 pages … we will be back!